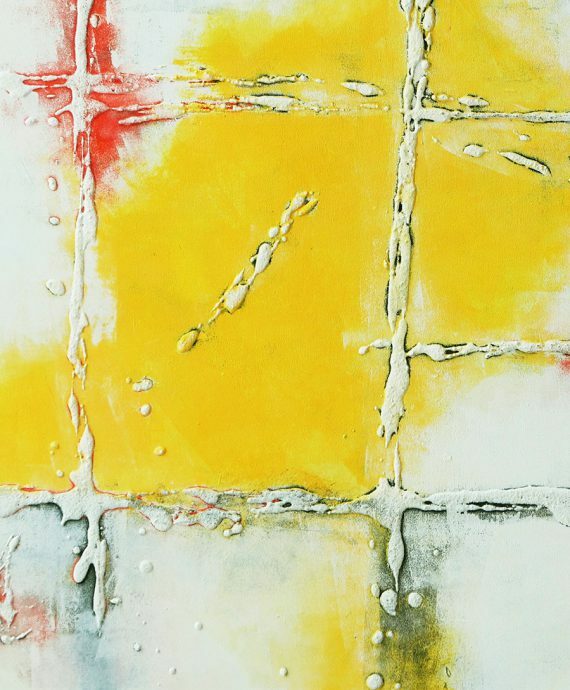 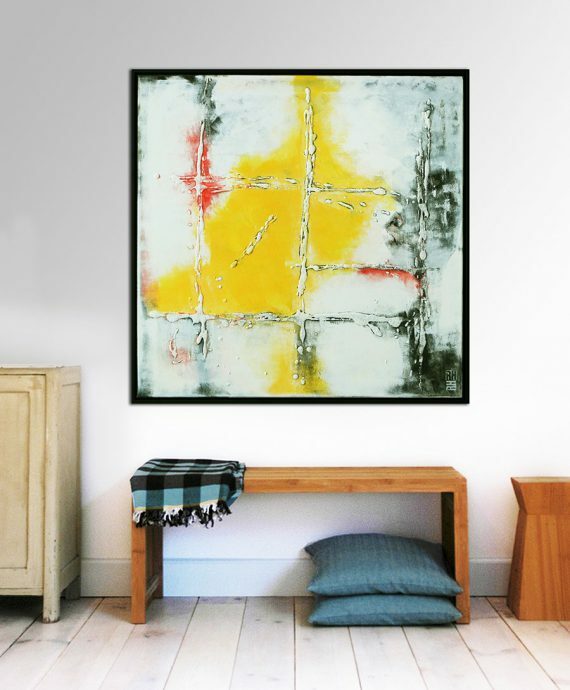 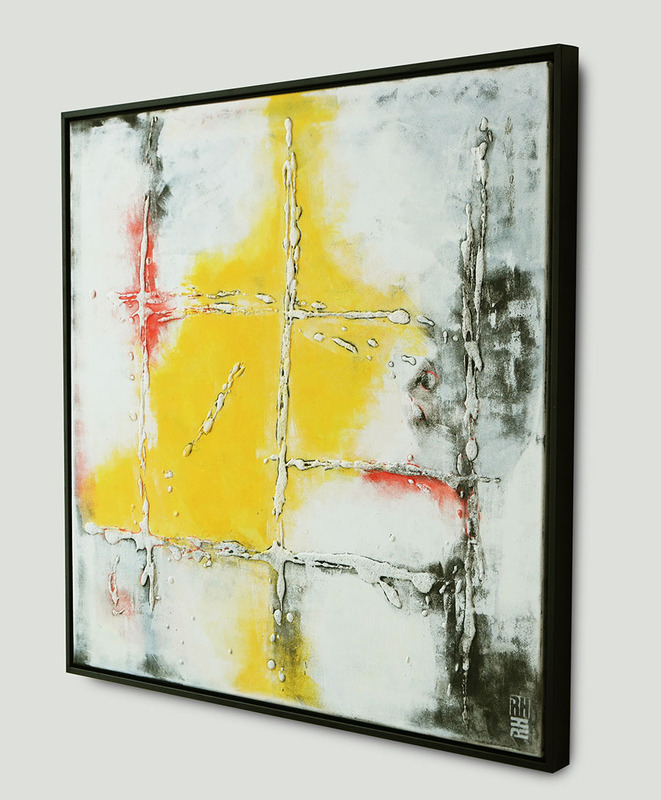 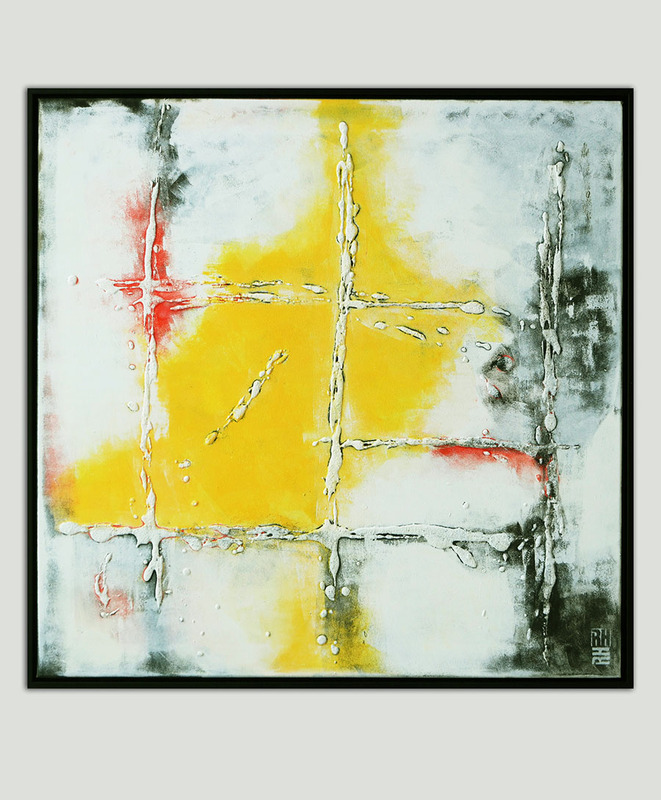 Add a colorful touch to your interior style with this beautiful abstract painting. A minimalist design, with expressionist layers of yellow and red. 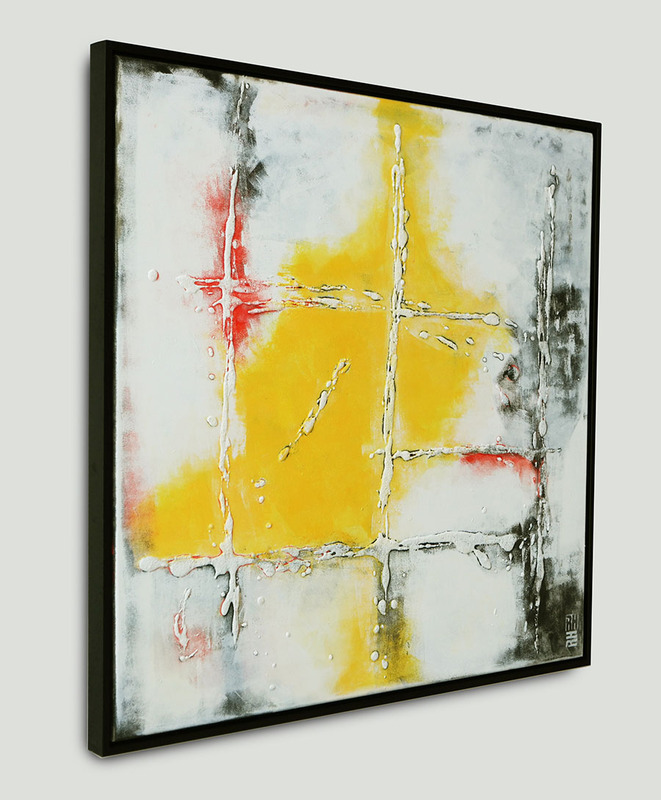 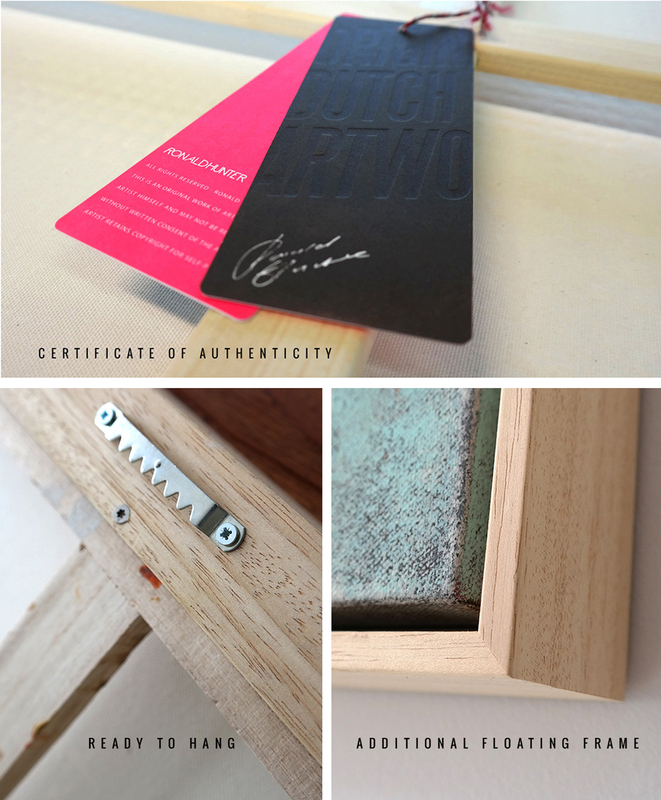 This painting comes with a black wooden frame (edge style, floating frame).